When a poet asserts she has the voice of no, does that mean she has it — has got that voice down, can do that voice — and wants to know it from the inside in order to get past it, or wants to doubt it, so that she and we can get on to the positive change we seek? Or is, finally, that voice her voice? A withering critique of present conditions (21st-century-style hyper-mediation; disorientation and alienation; natural disasters in response to which there are human-made failures): is that what this voice of no voices? Well, you can imagine that our PoemTalkers, talking Erica Hunt’s poem “the voice of no” from her magnificent illustrated book of poems Arcade, came to no simple conclusion to the above-posed questions. One reason is that the poem starts in a comically self-aware yet censorious maternal voice and then gives way, from a longer view and somewhat more omniscient p.o.v., to geopolitical social ills that indirectly but devastatingly follow (the personal is political for Hunt, for damned sure). 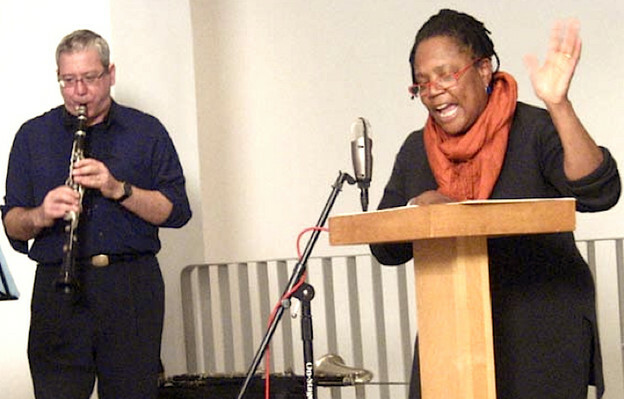 Elizabeth Willis joined us this time, as did Julia Bloch — for both, first appearances on PoemTalk. And an insightful regular, Jessica Lowenthal, formed up our foursome.